About a decade ago, Lincoln’s first Fusion-based small car was called the Zephyr, just like a Lincoln model from generations ago. Unlike every single other car on the luxury market, it had a name, a cool name. 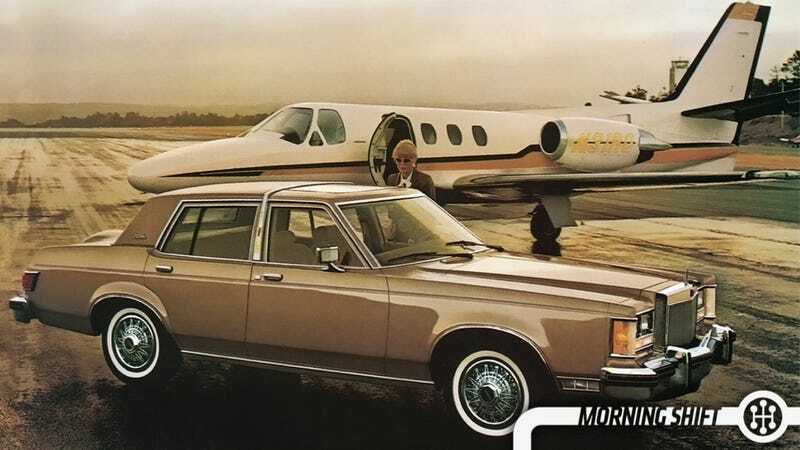 But one year in, Lincoln decided that it was instead going to name all its cars with an MK. The Zephyr became the MKZ and now they have a bunch of cars named like this and nobody is buying any of them. Automotive News reports that Lincoln is going to drop the alphabet soup of confusion with the debut of the Continental production car, which will actually be called Continental. No jokes. That means they can bring back names like Town Car, Zephyr, have a Mustang-based coupe and call it the Mark IX. Roman numerals! They could use Roman numerals! The sky is the limit Lincoln, just so long as you throw the MKs into the trash where they belong. Our pals over at Gizmodo are reporting that Tesla will unveil it’s new line of batteries on April 30th. At least, that was originally thanks to a Tweet from Elon Musk, who seems to be able to just tweet anything and make buzz around it immediately. Tesla has now confirmed more of what we’ll be seeing, and it is in fact a home battery as well as a “very large utility scale battery,” which is something that we hadn’t heard about. We’ll see all in just a few days. While the car market might be slowing in China, GM has China to thank for continued growth as well as stemming Cadillac’s loss of share in the US. GM’s first quarter global sales were up 1.9 percent, but sales in China were up 9.4 percent. GM has committed a large investment to Cadillac, and they did sell 61,000 cars in the first quarter, which is a 2.5 percent increase compared to a year earlier. But they just weren’t close to the sales of Audi or BMW, which each sold more than 450,000 cars. But the good news is that Cadillac grew in China, a market where GM has always been strong with Buick and Chevy, but not so much on the luxury front. It’s a good showing, but now Americans need to start buying more Cadillacs, because they’re actually really good. Go do that now. When I initially saw this, I thought it was daring for Volvo to put in a new CEO from Scania, Martin Lundstedt, considering that Scania makes huge trucks and Volvo makes small safe cars. Then I realized the CEO that was ousted, Olof Persson, was from Volvo Trucks. Persson was on a drive to improve efficiency at the Swedish truckmaker as well as reduce costs. His ouster comes with one year left in the plan and just as it was starting to succeed. Lundstedt has been at Scania for 25 years and was loved for being easygoing as well as making the transition to VW ownership easy. In today’s edition of “yep, I saw that coming,” Warren, MI has approved GM’s request for tax breaks so they can make improvements on the Warren Tech Center. GM will receive a 12 year, 50 percent abatement of taxes for the construction, so long as they decide to go through with the $420 million plan. Do you think Lincoln’s use of real names will make others follow suit? Will it succeed for Lincoln?